Calderdale Council’s Small Grants Scheme provides small grants of up to £2,500 to voluntary and community groups all over Calderdale. Each year £70,000 is awarded to a range of community initiatives and voluntary sector projects. These grants are distributed through a Small Grants Panel, made up of five Calderdale Councillors and three representatives from voluntary groups, community groups and groups that represent communities of interest. The Panel meets four times a year on a Thursday afternoon for two hours. The voluntary and community sector representatives are appointed for three years, and we are now inviting nominations for representatives to serve on the Voluntary Sector Grants Panel for 2019 to 2022. Each organisation can nominate one person as a representative. 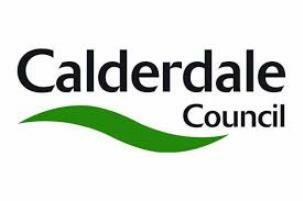 The nomination form can be found at our web page https://www.calderdale.gov.uk/v2/residents/community-and-living/grants/grants-voluntary-organisations/small-grants-scheme/panel. If you feel that you or someone else in your organisation would like to be a member of the Small Grants Panel, please complete the nomination form, and return it by Monday 25th February 2019. After the nominations have closed, details of all nominees will then be available on this web page, and voluntary and community groups will be asked to vote for the individuals that they would like to see represent them on the Panel. Before you decide whether to nominate a representative from your organisation, details about the Small Grants scheme can be found at https://www.calderdale.gov.uk/v2/residents/community-and-living/grants/grants-voluntary-organisations/small-grants-scheme. This entry was posted in Feb, Get Involved / Have Your Say and tagged Calderdale Council, Small Grants Scheme.